Experimental and great value theatre and comedy at Soho Theatre – good bar too. Drinks and larfs with media luvvies at the French House pub. Gorgeous dinner and cocktails at the Dean Street Townhouse (not been but reviews are wonderful). Home to the mysterious Graucho Club. 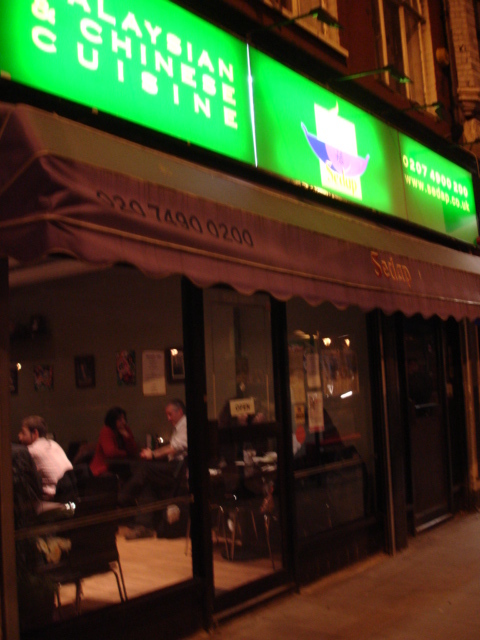 Cheap, relaxed food at Pierre Victoire (avec pianist compris) and Prix Fixe, of which, more below. 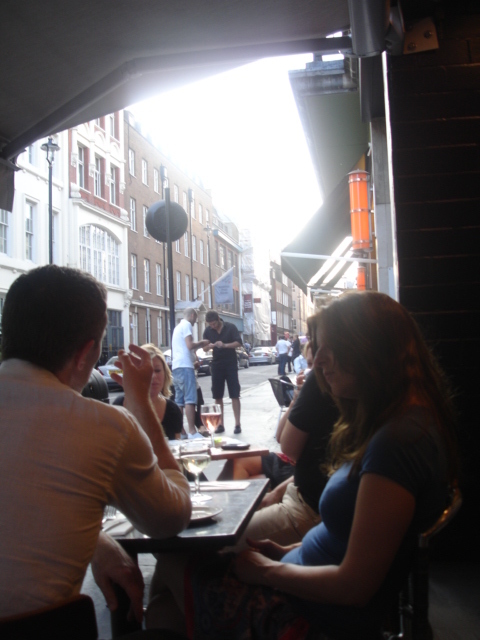 It can be hard to find outside space in Soho, but what better on a sunny day than sitting with great friends on the pavement outside a resto, sipping wine and watching the crazy (rather tipsy) world of Soho unfold before your eyes. 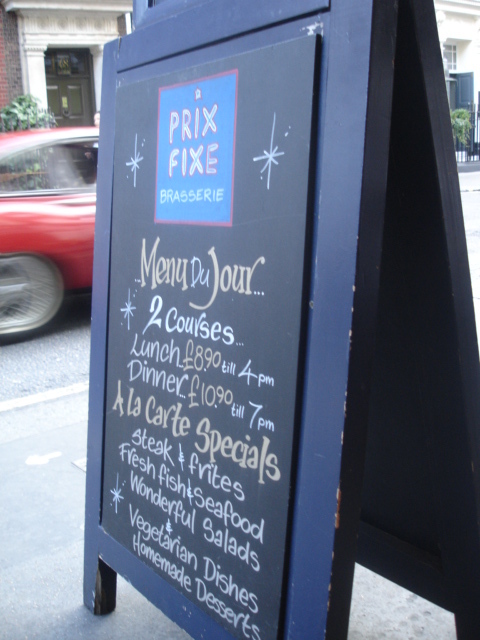 I’d put Prix Fixe in the Pierre Victoire category. 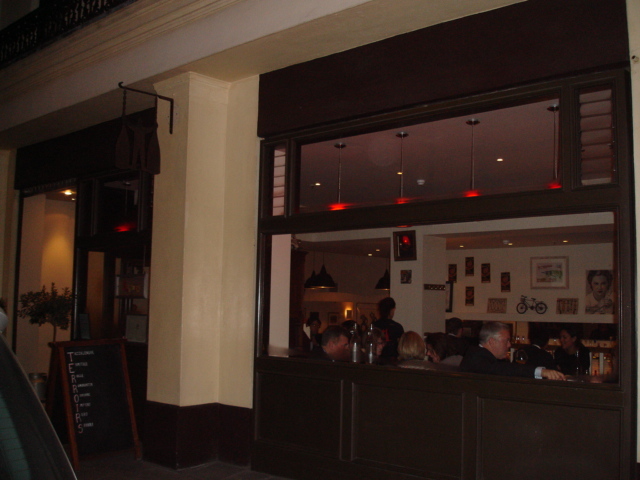 Unpretentious, inexpensive, relaxed, rustic, French-style, decent food. Perfect for a post-work dinner with friends that is likely to begin with a bit too much wine, tremendous gossip and a lot of time taken to order food. A perfect example of British food sharing – no-one will EVER take the last one of anything…. 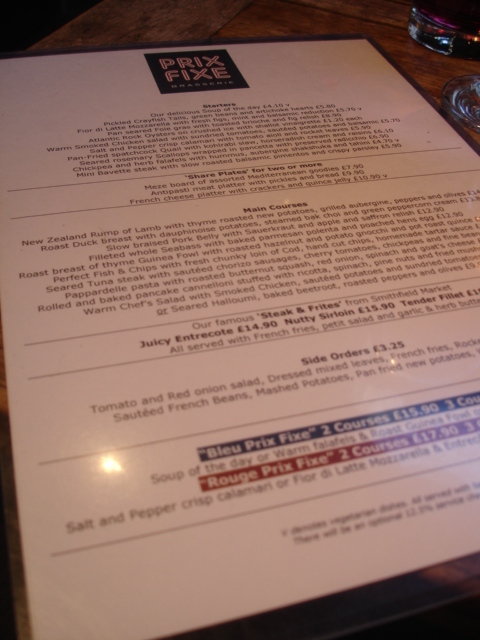 We ordered a la carte (super cheapo fixe prix deal before 7pm only) with a lovely pinot grigio rose (around £16.50). 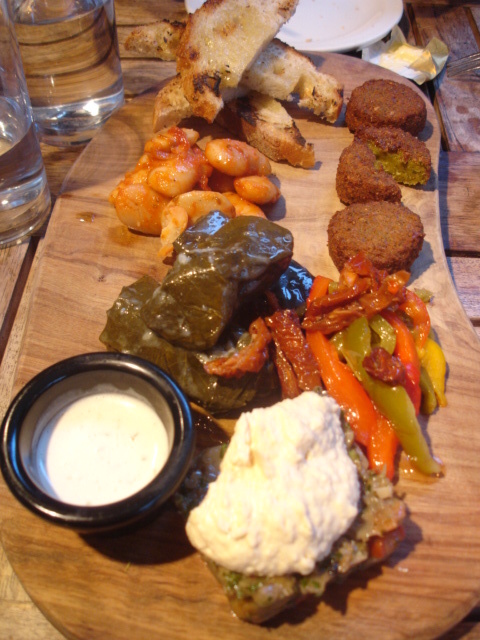 We started by sharing the meze platter – very tasty especially the humous and veggies which were amazingly fresh and delicious (falafel a bit dry my only complaint). 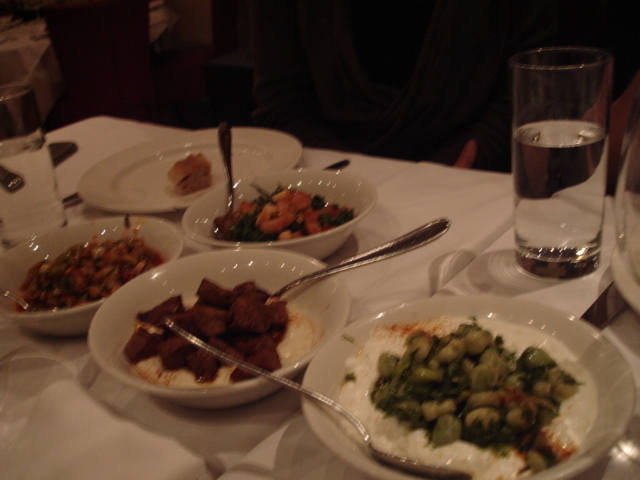 I never know how to spell humous, hummus, hoummous, mezze, meze, hmm. 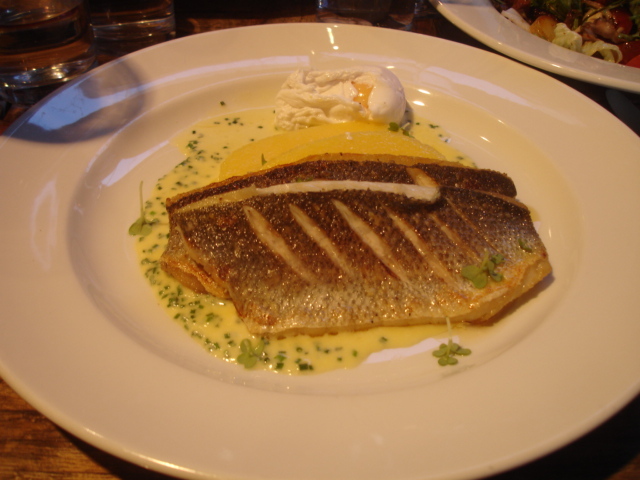 Anyway, I finished off with the seabass with polenta and poached egg. It was incredibly good especially for that price – tasty, light and more-ish. Apparently the menu changes weekly and the waiters were lovely. All in all, for lots of rose, shared starter and delicious main we paid £75 between 3 so around £25 each. Definitely a great post-work, lazy dinner kind of place – I like mucho. I have recently discovered that if you don’t mind eating somewhere that doesn’t look anything special, drinking beer not wine, and eating relatively quickly; London has incredibly good cheap and authentic Asian restaurants that can rival those in any other major cities. Yes, I’m talking about you Paris. Fresh from some great Vietnamese food at Mien Tay, El G and I tried some Malaysian food at Sedap on Old Street, inspired by rave reviews from Londonelicious and The London Foodie. Like Mien Tay, it isn’t that inspiring from the outside, and inside its cafe style – clean, relaxed, bright. I’m beginning to like this sort of dining though – its cheap, quick and easy, and I’m getting a taste for bottled foreign beer with Asian food. And luckily at Sedap its also very, very good. 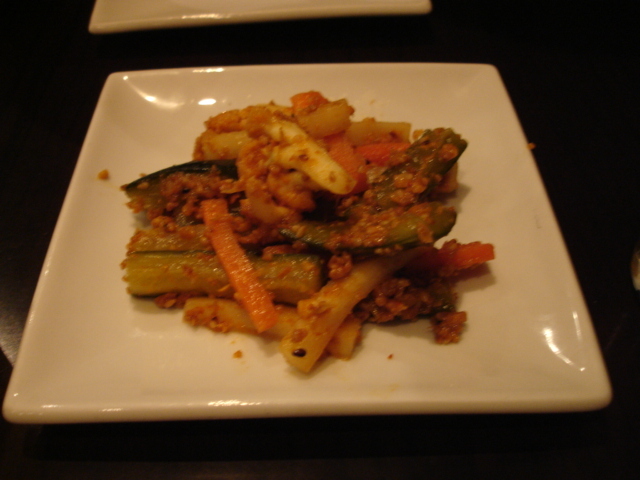 Archard (Malaysian vegetables pickled marinated in spices with peanuts and sesame seeds) – never had this before but it was delicious – light, delicately flavoured and slightly sour. 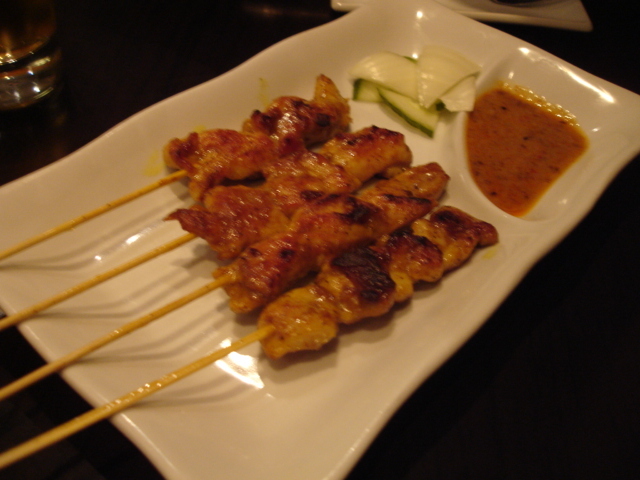 Malaysian chicken satay – yes obvious choice but bloody good, better than your average resto – really succulent chicken and tangy peanut sauce. Lemak prawn (prawn cooked with spices, herbs, green chilli and coconut milk) with steamed rice – probably the best dish of the night, nice kick of heat, tasty prawns and yummy coconut sauce. I would have licked the bowl if etiquette allowed. 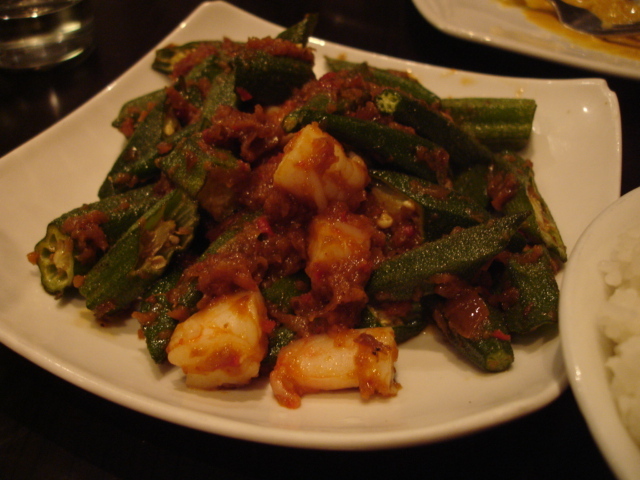 Sambal Okra (stir fried okra and prawns in chilli shrimp paste) – I just love okra, this was juicy and sweet. Penang Char Kway Teow (stir fried flat noodles with prawn, beansprouts, chinese sausages, egg, fishcake, soy sauce, chive and chilli paste) – like a Thai phad thai, this was delicious, if a wee bit sloppy (which is what I think its supposed to be anyway). The portion sizes were perfect – on the small side but we ordered the right amount and were full without being stuffed afterwards. All food, washed down with 3 veh nice Asahi beers came to only £40, or £20 each. Yes, we didn’t stay very long and there wasn’t a candle in sight; but it was a delicious and cheap dinner and perfect for a quick bite to eat with friends or partners. Drumroll….well, ladies, I have found our new best place ever for after-work dinner that isn’t expensive, serves amazing food and lovely wine, and will let us chat and mange to our heart’s content! Love, love, love Terroirs! 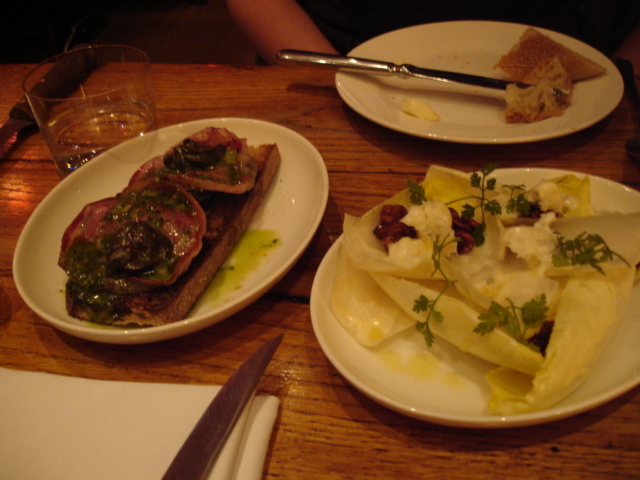 I’d heard great things about Terroirs and The London Foodie suggested it as a good place to have cheap food in central London, so I went along for dinner last night with friends and fellow wine-lovers Giavanna and Tallulah* (and well done Terroirs for allowing reservations – bad Wahaca/Polpo etc). 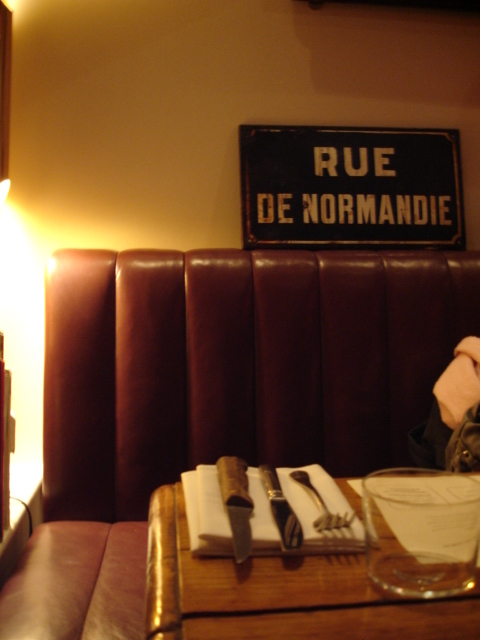 I loved the rustic, arty, chilled French atmosphere – with people eating at the bar and the cute table settings. It felt friendly, cosy and relaxed – perfect. After-work dinner with my girlfriends is always tricky. Everyone is always skint and/or trying to lose weight, so you need somewhere cheap and healthy. Add to this the fact that someone is always late (sorry guys) and we’ll be so busy gossiping that we need at least an hour of chat before ordering, and we need relaxed service that won’t hurry us. Terroirs ticked all these boxes. The menu is French tapas-style which I’m a huge fan of – there’s nothing better than sharing food with friends and chatting about how it tastes, a real bonding experience. We ordered 4 cold/warm tapas and 1 larger hot plate between 3. We started with the duck rillettes; endive, gorgonzola & spiced walnut salad; snails, bacon garlic & parsley and king prawns a la plancha. 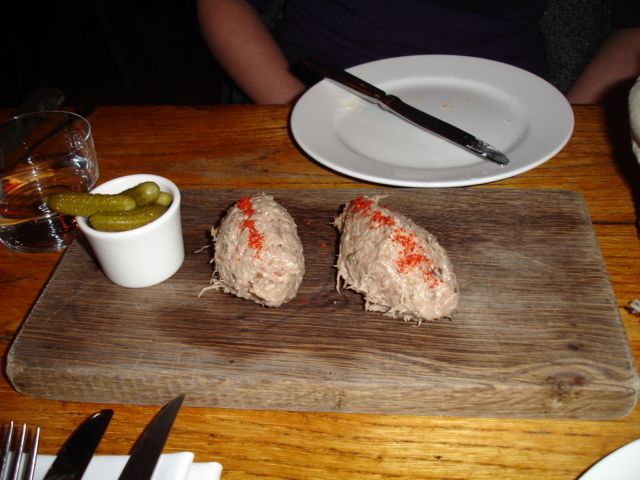 Duck rillettes – delicate, gamey, fatty, nom nom, pass the baguette. And guerkins! I love guerkins!!! Snails and bacon – salty, garlicky, earthy, squishy yumminess and endive, walnut and gorgonzola salad – a classic that I always love, but this was especially good due to the strong runny cheese and herby salad dressing. 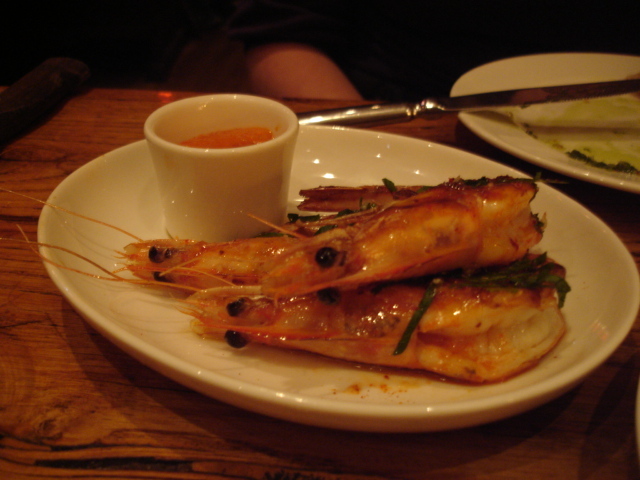 King prawns a la plancha – meaty, melt in mouthy, sweet and lovely sauce. 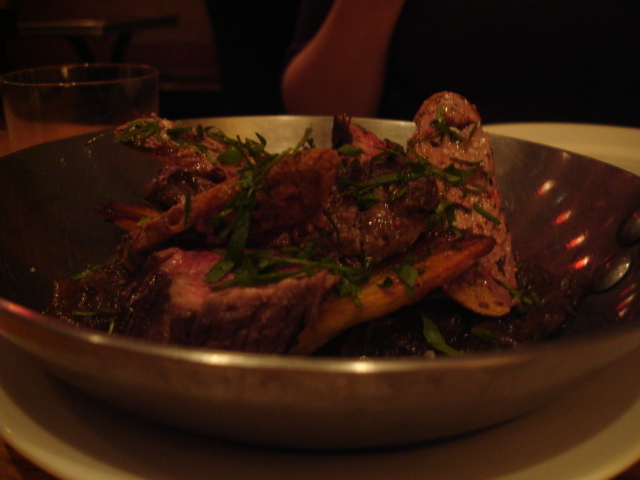 For apres, we really stuck to our diet plans and ordered the bavette steak. 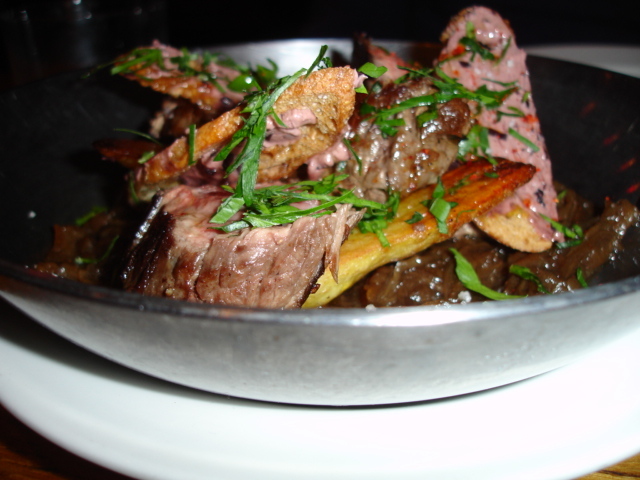 Oops… Anyway, it was really lovely – pink, tender beef and juicy roast potatoes on a bed of shallots. My only complaint was that I could have eaten more of it, and not sure about the crouton thingies that came with it. As expected in a French place, the wine list is great. 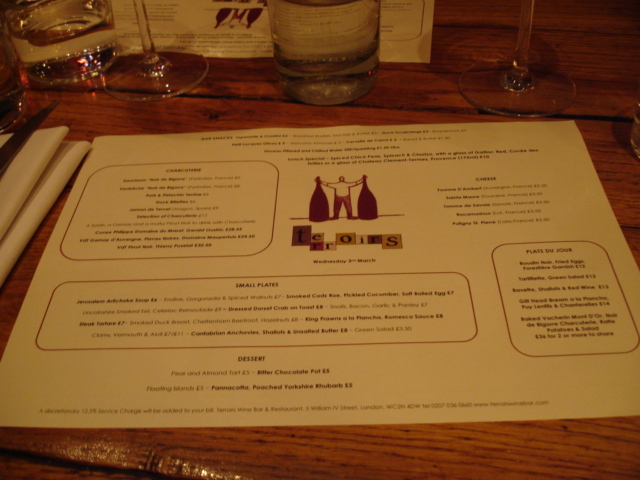 I liked how you could order a 500cl bottle (like, pretty much half a bottle really and totally acceptable for a detox school night) – we tried the Jurancon which was really nice, but next time I’d like to ask their recommendations for what wine to try with the food. Oh yeah and then we had a bitter chocolate pot for pud. We are soooo good at sticking to our healthy eating plans. 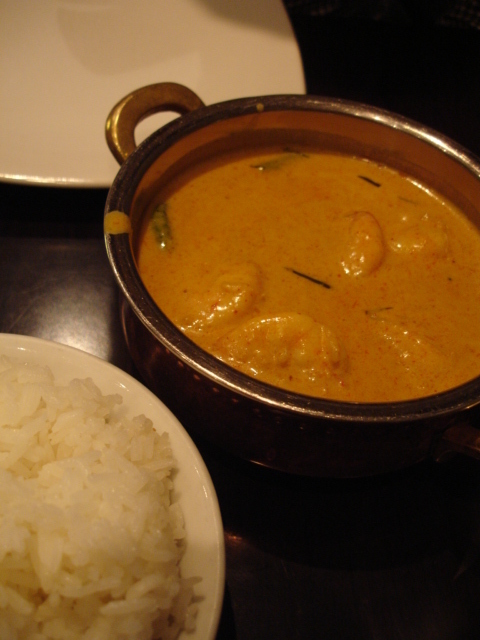 It was yummy – sticky, soft and rich. I think you’ve got that I love this place, right? Well then the bill came and all this lovely wine and food came to £72 including service or £24 each!!!! It was at this moment that I decided to come back here every week and eat my way through the wine list and menu until the buttons pop off my jeans. We’re definitely going back on a Friday for a wine and cheese fest for a start. I’ve eaten some pretty terrible meals round the corner for far more, so we really couldn’t believe what great value this place was. Only downsides? Not sure Lady B would find enough veggie food on the menu – but this is pretty typical of French places, oh and you might have to book a table in advance for peak times, but what do you expect for this sort of value. I’d also probably order one more tapas plate to fill me up. 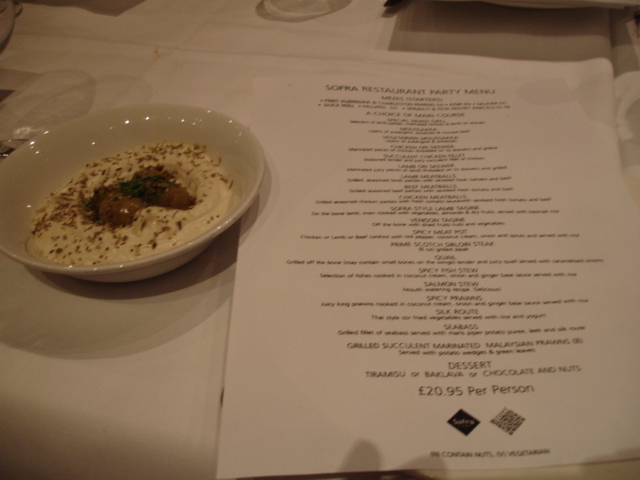 If you’re looking for good quality, cheap food in Covent Garden, you could do a lot worse than Sofra. To protect the anonymity of the blog, I’ve recently asked my friends to come up with their own pseudonyms – and so it came to pass that Pixie, Gunther, Lady B and several other people who’s new names I fail to recollect, went along last Friday for some yummy Turkish food and lots and lots of wine. We were around 14 people, and they managed to accomodate our large party in a strange community-hall type room above the main restaurant. 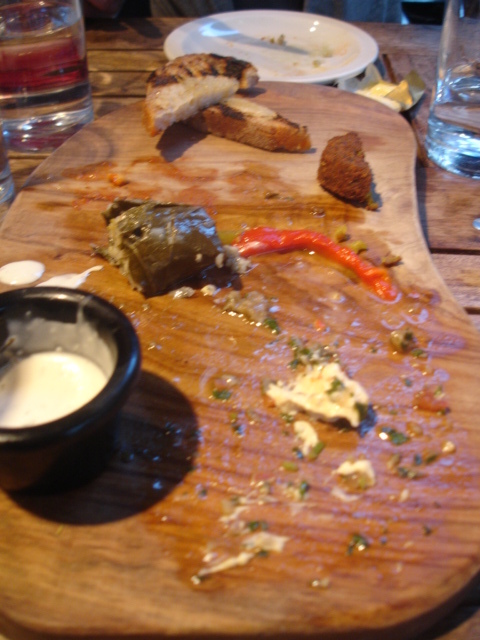 We ate the set menu – with a huge amount of mezze-style starters and mains, and mucho wine, plus assorted cheese and crumble puds (not sure what the Turkish connection to apple crumble is but hey..). All this for £35 a head and it’s great value – and a lot better quality food than mostly cheap eats in the area. 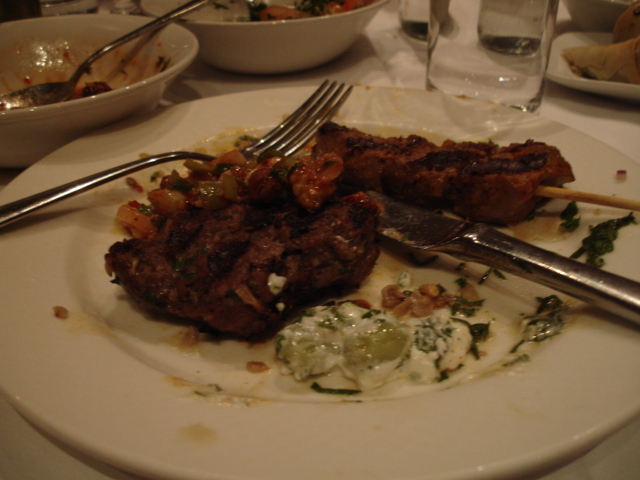 The food isn’t remarkable but is very very good and as nice as I tasted last summer in Turkey – delicious hummous, tabbouleh, baby broadbeans, stuffed pastries, aubergine ratatouille, lamb fillet with hummous; with succulent lamb koftas and shish kebabs for main. 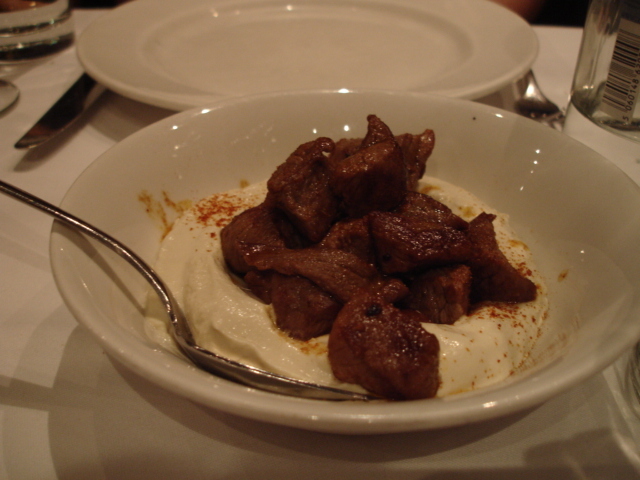 Above all, they let us natter away happily with great but unobtrusive service until the wee hours – for me the sign of a great restaurant to go to when the conversation and company is as important as the food. With the announcement that Rosa’s Thai is opening in Soho soon, I’m glad that I’ve found at least two decent cheap eateries in central London.